Once dismissed as a “death trap” by Warren Buffet, Airlines saw frenzied buying in 2016. In third quarter Buffet’s Berkshire was seen accumulating stocks of not one but multiple airlines. In India, airlines listed on the exchanges saw buying by marquee institutions and funds. In 2016 the much maligned Airlines business caught the fancy of the investment community. What changed? The primary operating cost for airlines is jet fuel, which in turn is a derivative of kerosene and crude oil. In 2014 crude prices dropped over 50% to historic lows due to disruptions in production and weak demand from Europe and Asia. While devastating Oil producers this “new normal” in energy came as a financial windfall to the airlines business which could now (atleast on paper) sustain operating margins and create shareholder value in a way that has never been created before. “Competition is at the core of the success and failure of firms.” Michael Porter starts Competitive Advantage, his seminal work on building sustainable competitive advantage with the sentence. The airlines business has been a textbook case of what goes wrong with too much “bad” competition: low cost carriers leading to price wars and a host of proceeding bankruptcies. It is hard to get into the business and just as hard to get out (barriers to exit), which can create “bad” capacities. Flipping through the first few chapters of Porter’s book, one reads about the distinction between attractive and unattractive industries. The net attractiveness is based on the interaction of five forces (the “five-forces” model). But how does industry structure matter to the shareholder? In an attractive industry like fast moving consumer goods even laggards can create considerable cash flows and shareholder wealth. Unattractive industries on the other hand are usually cyclical, operate on wafer thin margins and generate low return on equity. The market in turn treats such companies as step children and assigns them low valuation multiples. And as recently as 2015, airlines stocks traded at single digit PEs. So what has changed in 2016? “As of 1992, in fact–though the picture would have improved since then–the money that had been made since the dawn of aviation by all of this country’s airline companies was zero. Absolutely zero.” – Warren Buffet, yesterday. For an industry formerly known for being a capex intensive cash guzzler, the airlines business generated impressive cash flows in the past few years; impressive not just when benchmarked against the industry’s past performance but against the overall index. In Competitive Advantage Porter states a characteristic of Industry Structure – its tendency to stay stable over time. Change is slow, but there are exceptions to the rule. While air ticket prices have seen a secular decline of an average of 5-8% since 2014, Oil prices have in the same period fallen by more than 50%. Consequently since 2014, the cost per available seat mile (CASM) has dropped precipitously even as the revenue per available seat mile (RASM) metric has seen discounts on ticket prices. This gap has led to favorable unit economics and has created operating leverage on a scale not seen before. There are reasons to believe this trend of low CASMs can be projected into the future. At the same time Airlines are heading towards peak utilization because of modern life’s demands on time. Demand from developing countries is expected to stay robust while supply in the form of airports and total number of available seat miles continues to lag due to need for capital expenditure, land, permits and the time involved in building operational airport and airline infrastructure. Globally the average break even load of passenger aircraft is between 80 to 85% utilization of available seats and airlines have stayed above that. (When was the last time you saw a bunch of empty seats on an aircraft?). Excess capacities have been streamlined in Europe and the US with the introduction of bigger and denser aircraft which save on fuel and time. The industry has also seen consolidation after several bankruptcies, weeding out bad competition of the kind that led to price wars. Perceived value – Customers switch on cost, which remains the key decision factor for air ticket purchases. On the whole, the perceived value of air tickets for consumers of commercial airlines is determined by the cost/time tradeoff involved in buying air tickets. This rise in perceived value of air travel grows with the rising demands of time, changes in lifestyle and is accelerated by lower fuel prices being passed on to passengers as discounts. It is worth noting that railroads and other means of transportation are less attractive than they have been in the past and the trend may continue. Having said that the continuing attractiveness of the industry will depend on the direction Global Oil prices will take. 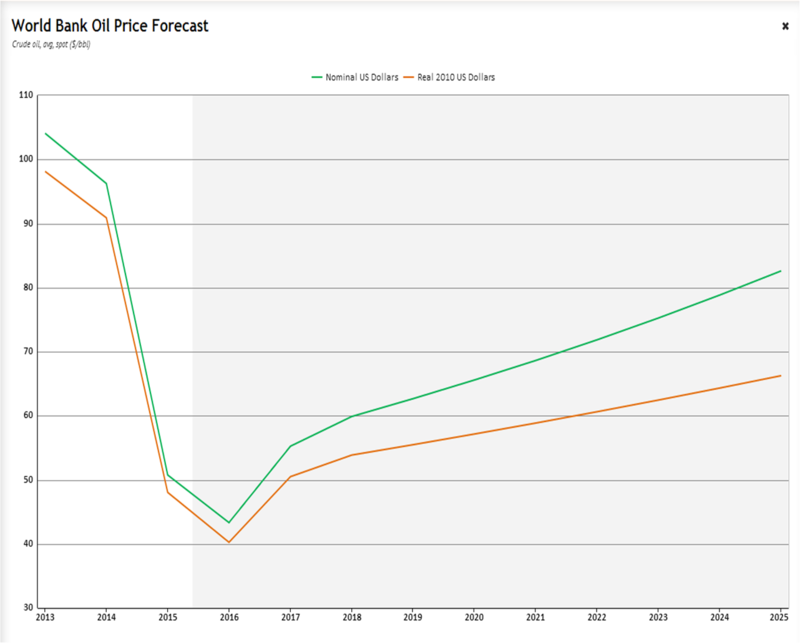 This is speculation territory as forecasts of Oil Prices have been in the past more frequently wrong than right. Berkshire Hathaway however seems to have taken a wager on the future of Oil Prices as it sold positions in Oil producers (Exxon) before buying stocks from a basket of different airlines in 2016 (American, Delta, United). Buying airlines could be Warren Buffet’s bet on the overall direction of Oil Prices. “Your pricing is set by your dumbest competitor. Your costs are subject to a duopoly” – Mohnish Pabrai, before buying airlines stocks in 2016. Cheap Oil or no, the aircraft manufacturing duopoly of Boeing and Airbus retains its supplier power over airlines operators. This is evident in the average cost of the aircraft, which has gone up by 3.5% since 2014 – a period of low commodity prices and interest rates. It is not the change in fixed then but the variable costs that have created value for shareholders. So naturally we must ask, how sensitive are the earnings of Airlines to swings in Oil Prices? Let’s look at Company X, which enjoys cost leadership in the Indian airlines business, and corners about 35% of its market share. X attributed a recent dip (dip to put it mildly – it was the worst quarter in a long time) in profits to a temporary surge in Oil Prices. The variability of Company A’s operating margins demonstrates the trend of earnings volatility that is a bugbear of this industry. It is worth remembering that in 2017, the Indian airlines industry is in a different lifecycle stage from its global counterparts. Consolidation is still in progress. Operators have distressed balance sheets. Capacity constraints are real. In 2016 passenger traffic in India grew by over 20% while seat capacity averaged a growth of 12%. The following years will see huge investments by both airline operators and suppliers. The government of India for instance has raised the FDI cap in airlines to 100% and announced plans to develop 160 non-functional airports. Implementation however remains notoriously difficult. It is true that Oil Prices have provided a windfall to operators in India as much as any part of the world, but it would be prudent not to confuse the structure of the domestic airline industry with matured industries elsewhere. Airline stocks especially are prone to the vagaries of Oil prices and resultant panic selling. Any shift in the trend can cause wild swings in the underlying stock price. Disclaimer: I am not a SEBI Registered analyst. I have no position in airlines, or in any company mentioned above. The post is made in good faith to share knowledge with the investor community. It is not Buy or Sell advice and should not be construed as such.